There’s a craft beer popup this weekend! She’s been AWOL for a minute, but The Fish Lady is back open in what appears to be a permanent location. Yay for her! She’s one of our faves and her Cameroon-style grilled fish is absolutely excellent. 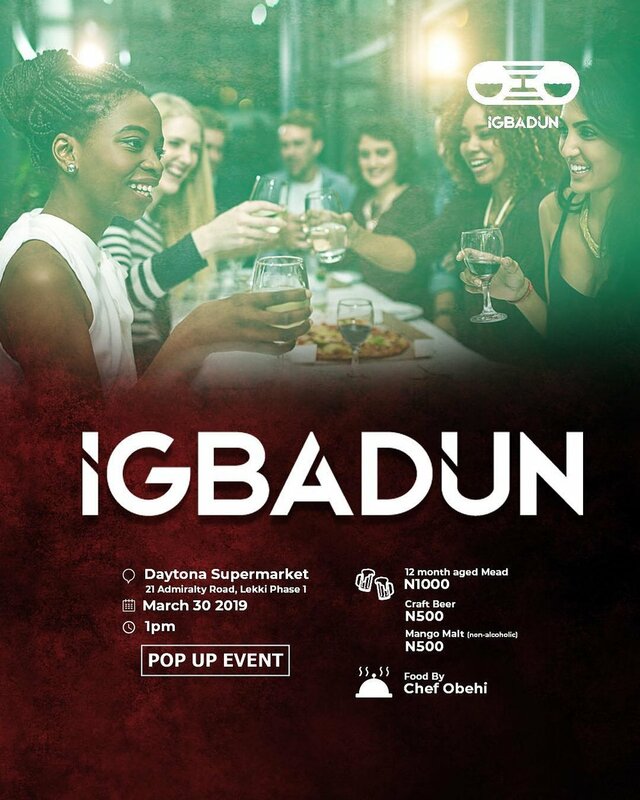 Igbadun is a craft beer brand run by a friend of a friend of the house. We don’t have a big craft beer scene in Nigeria, but if you’ve ever been curious, this is the perfect chance to get hip. Also, if you’ve been curious about beer and its components, this is a very good opportunity too. We can’t think of a better way to end the month than an ECC Happy Hour and this time we’ll be starting off our boozy weekend with our 3rd Happy Hour series at Sabor on the 29th of March. If you’ve been for the first two then you know it’s going to be another intense night of getting smashed, saving money while getting drunk. If you haven’t been, we’d really love you to come experience happy hour the ECC way. 50% off cocktails from 7:30pm- 10pm and of course party after, with the best music from Dj Imj. For some reason, I thought JP Clarke was dead. God forgive me. He’s alive, kicking and has a play at MUSON this weekend. I read The Wives Revolt in my first year at secondary school and I can’t remember what the thing was about. I do remember the girls in my class stopped talking to the boys that year and we called it “The Wives Revolt”. Anyway, the Wives Revolt is going to be playing this Sunday at Muson Center. There’ll be two showings: 3pm and 7pm. Tickets are available online at www.naijaticketshop.com .